The core competence of Karl Jung GmbH represents a process sure, µ-accurate surface and profile grinding of surfaces and tolerances. The special characteristic of machine is long-lasting, high geometric stability. The constructive body includes a cross table construction with diving column. Special ground double -V- guide slide bearings guarantee an exact and linear guidance with extraordinary properties of absorbability. Flexibility in the work shop can be provided only by quick and simple handling. The touch screen enables to setup and start the machine without complex handlings through function and soft keys. JUNG has invented the same technology also for dressing. Simple and practice oriented work piece contours like radii, bevels and curvatures can now be entered inter actively. At a push of a button the dressing programme for profile dressing of the grinding wheel is provided. The IsoMet® 5000 Precision Saw was designed for cutting various material types with minimal deformation. The positioning of sample in 2 micron step allows precise sectioning of specimens. User selectable feed rate allows an ultimate versatility. Enhanced software options enable 55 programmed methods and automatic serial sectioning as well as the ability to mount cup grinders for automatically grinding to depth. The AbrasiMatic® 300 Abrasive Cutter is a bench top cutter featuring manual cutting action in 3 directions or automated cutting in 1 direction. 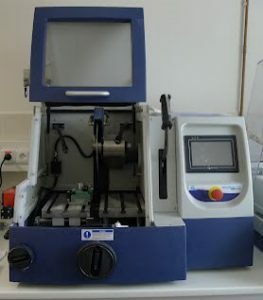 Device is suited for thick and fast cutting of larger and very hard samples with diamond disc diameter ca. 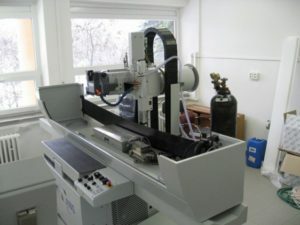 300mm, quick fastening of specimen, possible parallel cut, possible trimming of cutting wheel for even faster cutting and lower vibrations, adjustable rotation speed of cutting wheel and possibility of full manual mode. 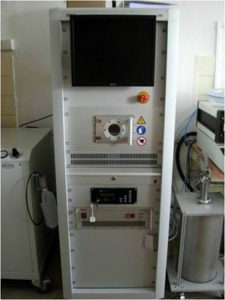 Plasma system serves to design/modify the surface of materials for the purpose of analysis or for purposes of further processing after plasma treatment. This technology offers versatile applications: cleaning of the surfaces of any residue, oil or contamination; selective etching and partial removing of the surface is possible to obtain; coating of parts of material surface.